Satlock, a Colombia-based logistics and supply chain information company, provides container tracking solutions to their customers. These solutions meet container security standards BASC and OEA through installation of security seals on container doors. 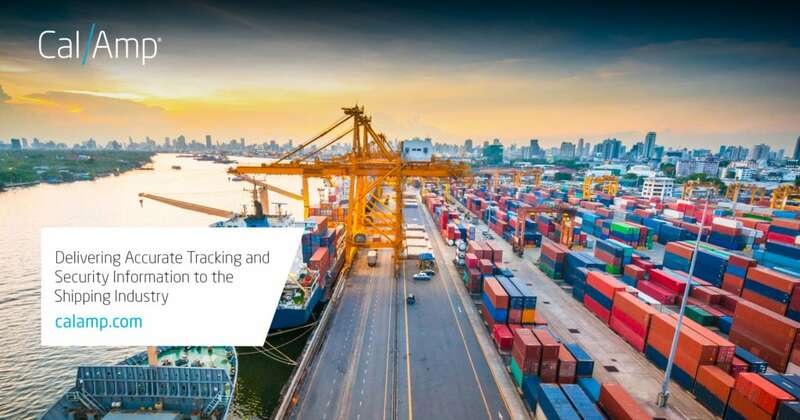 The security seals are enabled with Satlock’s Monitoring Station cloud solution, providing efficient and accurate cargo monitoring and delivering real-time reports to their customers in North and South America. How does Satlock provide this timely and accurate information to their customers? Inside two of their products, the ULTRALOCK C and ULTRALOCK G, Satlock uses the CalAmp TTU-1230 and TTU-2830 devices, which are both small, battery-powered GPS devices that equip the ULTRALOCKs with the needed tracking technology. CalAmp’s TTU-1230 and TTU-2830 have high resistance to harsh environments (such as water and vibration) and provide highly accurate GPS coordinates. The TTUs allow Satlock to manage and control the device’s firmware to work exactly the way it is needed – to sleep and wake at very specific times, send the right notifications and more. The TTU-1230 and TTU-2830 have been very effective devices within the ULTRALOCK products. In addition to their customizable firmware, Satlock’s customers can track their shipments, receive tamper warnings and be notified if the container has been opened prematurely. To learn more about Satlock, their products and what their customers have to say about the ULTRALOCKs with TTU devices inside, check out our latest case study here.